Hey, all you good looking people! Since we've been living the renovation life for about a month now, I thought you might like the DL on what's been happening around here and see how things have changed in our downstairs area. We've reached the halfway point in our kitchen renovation, finally! See below for the progress in photos (click to enlarge them). 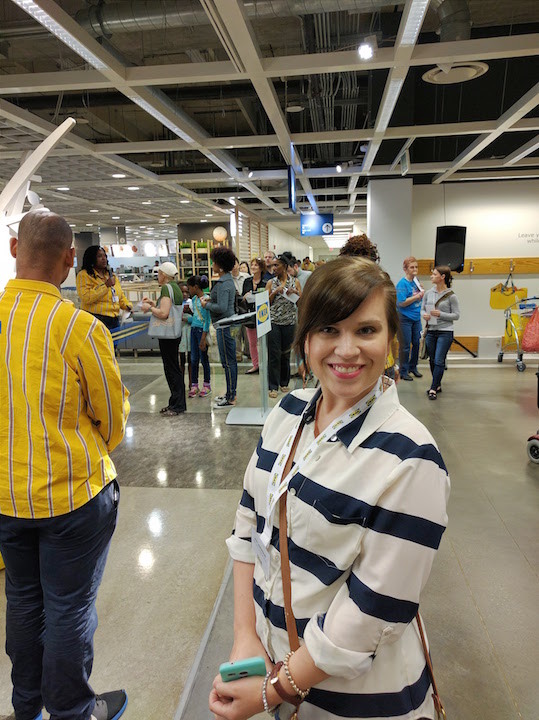 Below that, I'll list real quick for you what we've accomplished thus far, and THEN I have a few photos of a recent event I attended at IKEA Atlanta with a short explanation of what I learned! Packed up, moved, and stored our kitchen, dining, and living room. Created a 'kitchenette' in a third bedroom. We eat meals off paper plates and cook via microwave, crockpot, or grill. Dishes are done in a bathroom sink and we have mastered the art of surviving without a kitchen. 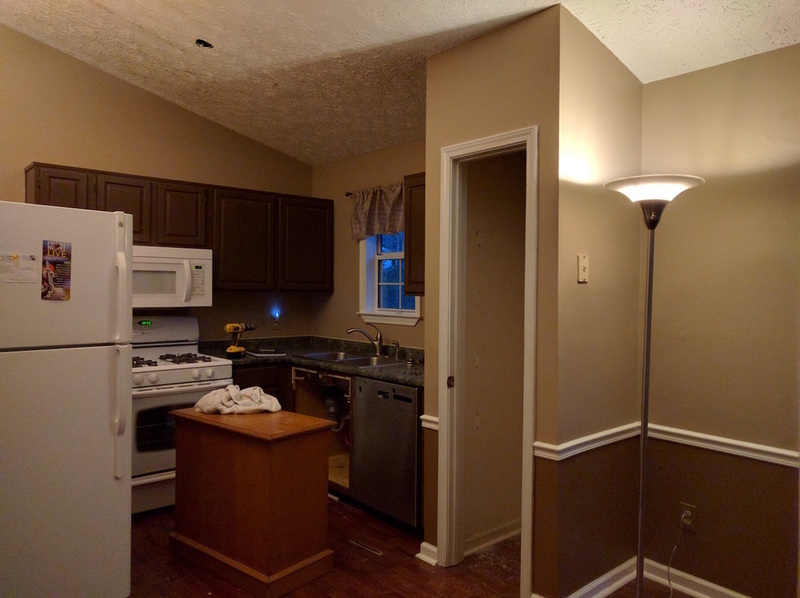 Demolished our old cabinets and moved appliances and light fixtures out of the way. Scraped a layer off the textured ceilings. Removed some flooring to make the workspace easier to navigate. Ripped out a wall and pantry. Built and wired a new half-wall further over from where the original wall had been. Wired electrical for our TV/stereo system, kitchen, and lighting. 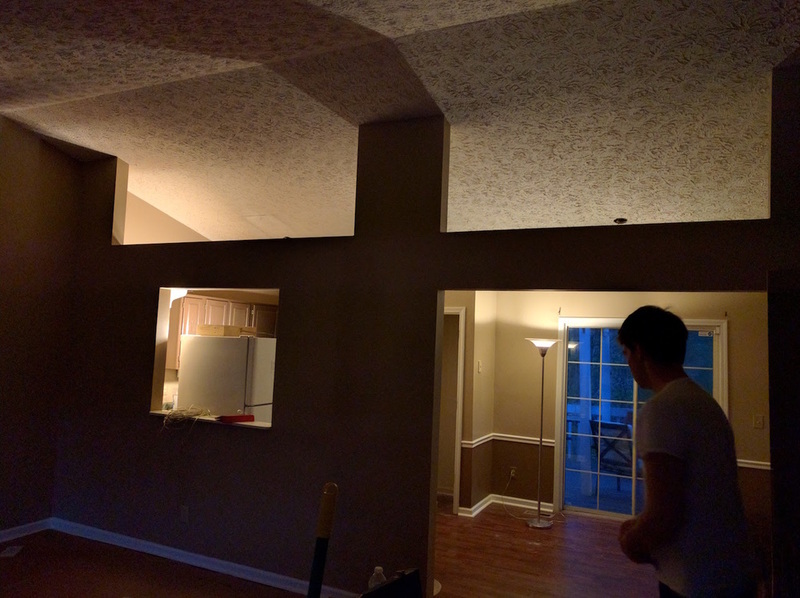 Replaced the drywall we had to remove. Bought and returned countless items to our local home improvement store. ...and found a huge snake on our back porch. 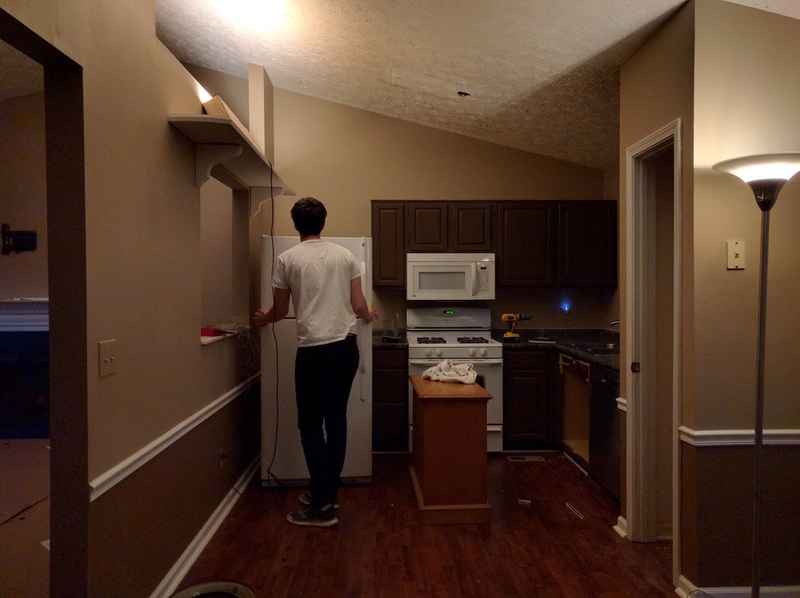 We have worked at this project every night and every weekend since we started and we still have to finish replacing the drywall, taping, mudding, sanding, priming, painting, building cabinets, plumbing, installing cabinets, and more. Stay tuned for my next installment on this project and don't forget to follow me on Instagram to catch some more peeks. Now, for the news on IKEA. If you've ever been to one of these big blue and yellows, you're probably familiar with their "cafeteria." The thing is, what has always been lovingly referred to as a cafeteria has always officially been called their restaurant. But let's be real, it never felt like one. So they made some changes! 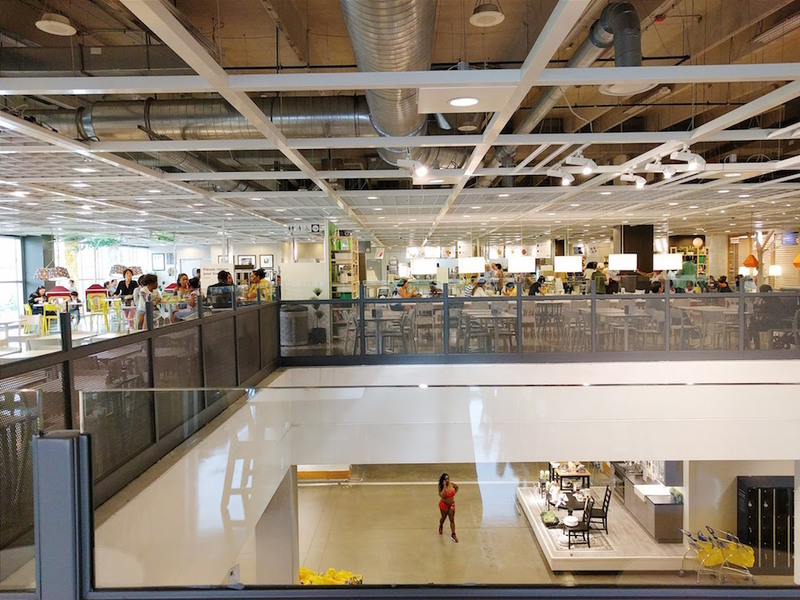 They invited me to come to the re-opening of their restaurant last Friday, and I am honestly very impressed with what they've done to make the dining experience more convenient for the needs of every one of their shoppers. 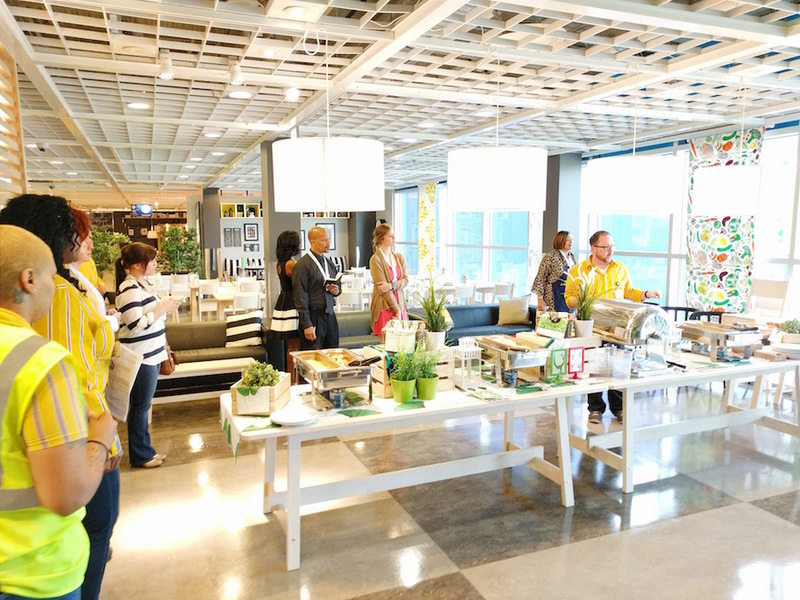 Not only that, but as one of the largest showroom spaces their stores contain, they weren't really showcasing much of their products there. The restaurant now boasts several different seating areas for all types of visitors. A family area where parents can be near to the condiments, drinks, and even a bottle warmer while still being able to keep an eye on their wiggly little kiddos. There are bar height tables for the visitors who maybe need to just grab a drink or gather their heads around what they're purchasing, longer tables for groups or people who are looking to grasp some inspiration from the decor around them, and couches for those who need to take a rest and use the wireless chargers located on the lamps! 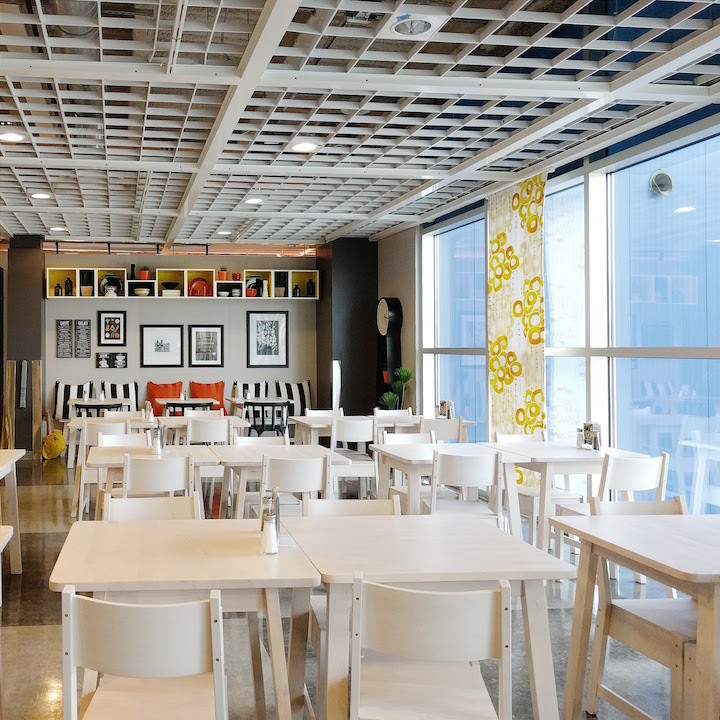 The decor of the restaurant has been vastly improved, and will change twice a year to stay relevant with what's popular or inspiring for their guests. When you visit, take note of the "family room feeling" they're trying to give of. Of course, so many of us are familiar with their menu (meatballs anyone?)... but they've changed that too! 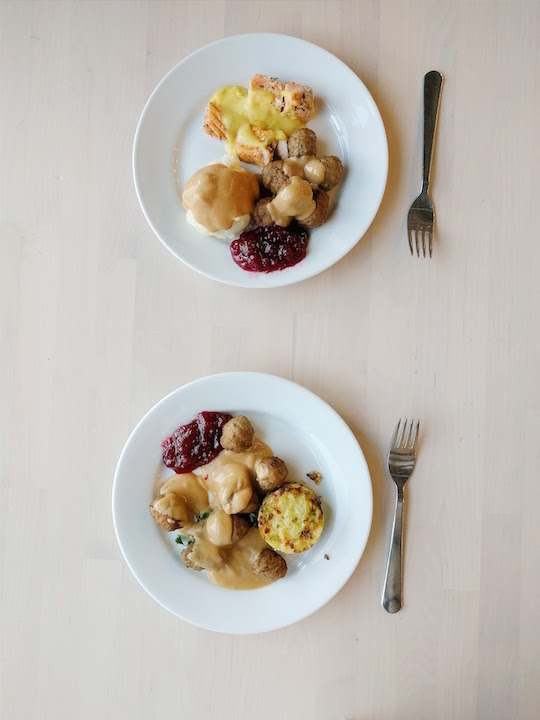 They now offer family meals at unsurprisingly low prices, and more options for sustainable eating. Organic pastas, vegetarian options, clean-eater friendly choices, and more. They've done a great job on their restaurant overhaul. If I'm being totally honest with you, I had never been one to frequent their restaurant because of the cold environment and unsatisfactory menu options... but (and I mean this completely unbiased) I'll actually be visiting it more often now! I am not being paid to say any of this, by the way, it was just honestly worth being noted in a post because it's a big change from the IKEA we have all known. Big kudos to them! For the rest of my time there, our group was given a brief synopsis of their new kitchen system Sektion (which we will be installing in our own home in a few weeks), a little info on their marketplace that you usually see in front of you after you checkout, and a lively lecture on their Cooking Shop (aka: dining, cooking, and serving department). Did you guys know they have a 15 year warranty on their Sensuell series?? Their knives have warranties too. I was really surprised by how much they actually care about backing up their products. Sometimes, I assume that since they're so large and so cost effective, they wouldn't care if their customers are happy, but they really do! They genuinely want their products to be attractive, functional, and of good quality. In fact, Epicurious gave them a pretty great review on their $10 bundt pan - check it out. What do you all think? Do you like the changes to their restaurant?